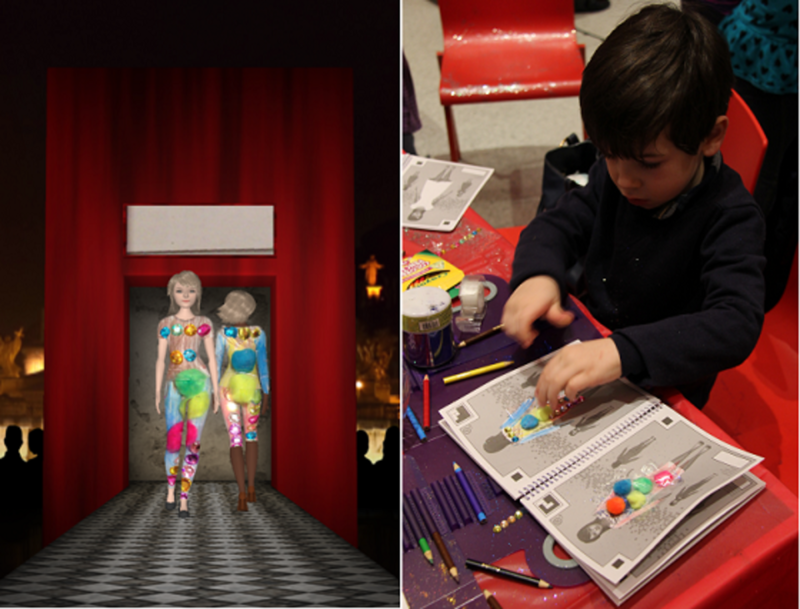 Crayola's newest creative kit, My Virtual Fashion Show, allows young fashion lovers to create clothing designs and see them walk the runway. With New York Fashion Week upon us, it&apos;s only fitting that Crayola introduce its newest creative kit, My Virtual Fashion Show, a style portfolio and app that allows young fashion lovers to create clothing designs, try them on virtual models, and watch them walk the runway. Remember Fashion Plates? My Virtual Fashion Show is like that but on a whole other level! 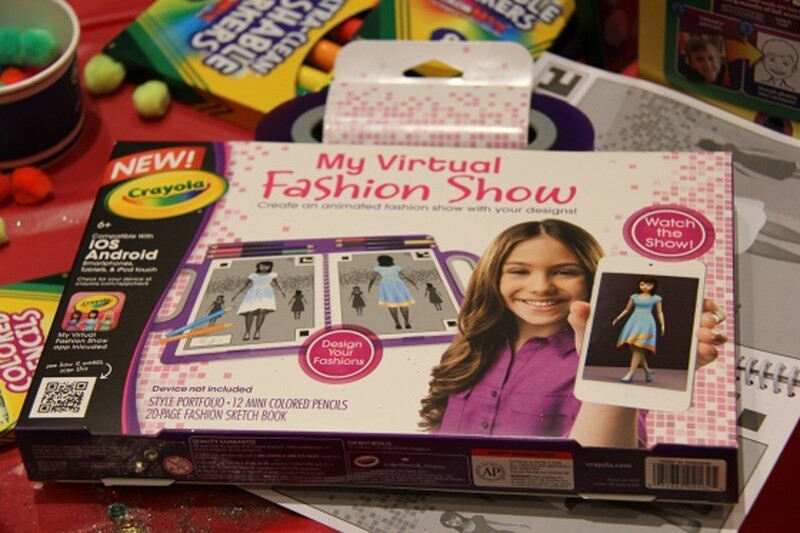 The kit comes with a 20-page sketchbook and portfolio, as well as 12 Crayola colored pencils to create fashion designs, and a code to download the Crayola Fashion app for iPod Touch, iOS or Android devices where the outfits can be put on virtual models to walk the runway. The models themselves can be customized from hairstyle to skin tone with accessory add-ons like shoes and handbags. Vera Sweeney, Audrey McClelland, and the Crayola team hosted a party at Dylan&apos;s Candy Bar yesterday evening to check it out and not surprisingly everyone had a blast from petite fashionistas to moms to the tough guys that tagged along (especially the boys, matter of fact!). My Virtual Fashion Show is recommended for ages 6 and up and retails for $20, which is right in the birthday gift sweet spot. I definitely recommend it, especially as a snow day activity! Get it here.